Puerto de Andratx (sometimes called Port d'Andratx) is often top of the list for people to look for apartments for sale in Mallorca. Puerto Andratxis a pictures que upmarket residential resort in a stunning coastal location in southwest Mallorca. 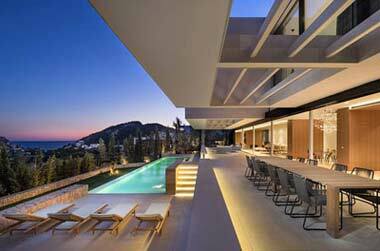 It attracts many apartment seekers looking for that dream apartment for sale in Puerto Andratx. 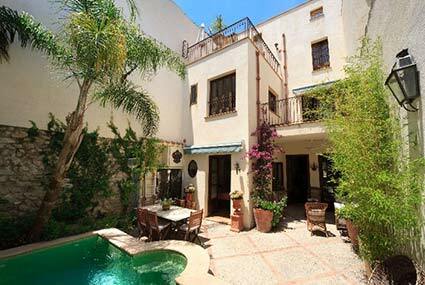 We at Balearic-properties.com/en would be delighted to help you find your dream apartment for sale in Puerto Andratx. The large horseshoe-shaped bay at Puerto de Andratx has been described as being one of the most beautiful harbour locations the Mediterranean has to offer. 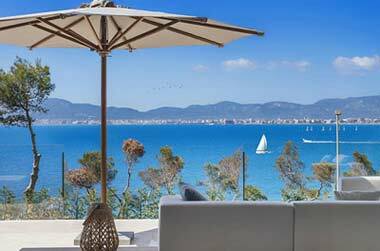 Puerto Andratx itself is very upmarket and you will witness some spectacular apartments for sale nestling on the hillsides overlooking the bay. You'll find lots of stylish restaurantsin Puerto Andratx, many specialising in seafood, and the town's bars are very welcoming with a chilled, laid back vibe. The yachting crowd is well catered for too. The Andratx Yacht Club has a superb reputation in nautical circles.Restaurant Rocamar situated at the west end of Puerto de Andratx harbour is a beautiful place to enjoy a meal facing the Mediterranean and away from the crowds. Seafood is the speciality here and most recommended. Or try Marisqueria Galicia, a pleasant Puerto Andratx bistro specialising in Galician cuisine, especially seafood. Excellent value too. 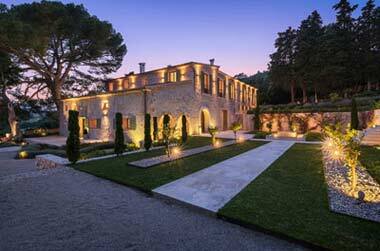 As you can imagine for such a swish resort, Port d'Andratx has some top rate luxury hotels. 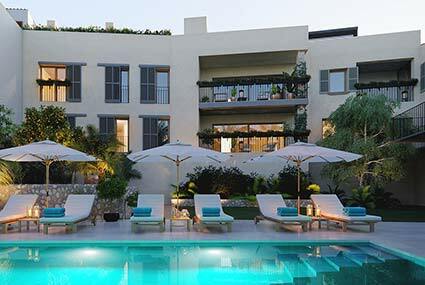 Hotel Villa Italia is a rather divine twin-towered Italianate mansion. It's located behind a steep terraced garden and the views over the bay here are to die for. Another superb place to stay is Hotel Mon Port. Just a short distance from Puerto Andratx. It really is a beautiful place featuring modern rooms with all the latest mod cons to hand. If you like a good game of golf you're in luck, because Andratx has its very own famous golf course. Just a short drive from Puerto de Andratx is the 18-hole, par-72 championship course, Andratx Golf Club. Andratx golf course is one of the most challenging in Mallorca with 60 bunkers and 7 lakes to test your skills. (Hole 6 is the longest in the whole of Spain). There is an excellent Italian restaurant in the clubhouse, Restaurante Campini. Conveniently there is a direct Motorway route from International Airport to the outskirts of Puerto Andratx, so journeys by hire car or taxi are simple and straightforward. Reasons enough, we believe, to come here to find your dream apartment for sale in Puerto Andratx waiting for you!